Suffolk is a county in East Anglia. It borders Norfolk, Cambridgeshire and Essex. Warehouse space is popular in this area due to companies importing goods via Felixstowe which is one of the largest container ports in Europe. Many companies looking for pallet storage and warehouse space in this area consider the Felixstowe area as well as other towns such as Ipswich, Lowestoft, Bury St Edmunds and Sudbury. Are you after pallet storage, pick and pack and order fulfilment services for your business? If so, then click on the find space button on the home page to find the right warehouse to suit your needs. With well-known companies in Suffolk such as Branston, Birds Eye and Huntley & Palmers, many warehouse companies can be found in this area, offering a range of warehouse services and warehouse space. Offering good road links to other areas of the UK, Suffolk provides many Bonded warehouses as well as warehouses providing order fulfilment such as pick and pack operations and distribution for a range of goods throughout the UK. 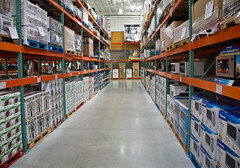 Warehouse companies can be found offering their warehouse space and services on the Whichwarehouse Directory. If you are looking for warehouse space and pallet storage in this county and need some help with your search, contact Whichwarehouse on 0800 1707 555 and we will find a solution to your warehousing requirements.